A fabulous A4 print on Etsy of a pretty Copenhagen cityscape style illustration, featuring some of the beautiful buildings in the city. With waterside Nyhavn buildings, with some of the cities towers in the background. The illustration is digitally coloured and printed onto a high quality 170gsm matte paper. Digitally coloured in pretty pastel shades. It’s a Helen Carrington print available on Etsy for only £15. I LOVE this Clockhouse Log Table available from Grace and Glory Home for £165 – Made of oak with a painted wooden top, it stores logs neatly and provides valuable tabletop space for lamps, books, or cups of tea! Cosy up with this comfortable luxury faux fur bean bag at £79.99 from Bean Bag Bazaar. Only the highest quality, hand-picked faux fur is used for this chic bean bag. The bead inside has insulating properties meaning the seat will feel warm and cosy, especially with the thick faux fur cover. This luxury bean bag features a matching faux suede base panel to prevent slipping on wood floors and gives a high-quality finish that shows attention to detail. The faux suede and faux fur fabrics were selected for their realistic look and feel. Finally, this pretty set of three photo frames will help embrace the notion of family, friends and togetherness by displaying your most treasured photos, mementoes and keepsakes for £17.95 available from Grace and Glory. Wallpaper Warehouse say with hygge in mind, how should you go about selecting wallpaper that jives with your understanding of the philosophy? What should you look for in a wallpaper design to fully express coziness and relaxation. Textured wallpaper is one of the best ways to promote hygge in your home environment. Textured walls are the ultimate cozy addition, and they make you want to snuggle up on the nearest couch and stay a while. Whether you choose a pattern or stick to a solid, textured wallpaper helps you achieve hygge in your living spaces. If you look at examples of hygge-style homes in the pages of a decorating magazine, you’ll notice that most of the walls are light-colored. While most hygge designs shy away from darker colors, there is no rule that dictates a wall’s color palette. The warmth of a rich red or vivid orange can help create a hygge home, especially if those are the colors that you associate with comfort. Remember, hygge is about what you find cozy and peaceful — your home should be an expression of you and your family, and what brings you joy. Some of the best hygge wallpapers are those that recreate a natural look. Faux wood wallpaper can create a cabin-like coziness. Green leaves or a forest scene can have a similar affect, tying your home interior to the natural world and promoting a stress-free environment. 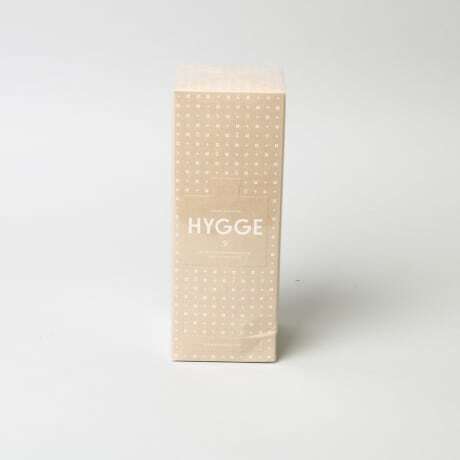 Are you looking for hygge wallpapers to complete your home’s cozy design? Wallpaper Warehouse has a range of products that will help you live out your philosophy, and decorate with family, friends and comfort in mind.